A warm welcome year round A warm welcome is guaranteed - ask about our winter saver specials! 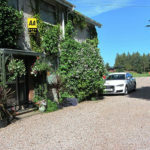 Welcome to the web site of Southpark House, introducing our guest house and bed and breakfast accommodation, approved to 4-star standard by the AA and VisitScotland. We hope you enjoy browsing through our pages and if you have any queries simply contact us and we will be pleased to be of assistance. Southpark's unique, peaceful and splendid edge of town location offers outstanding natural scenic views and is your ideal location for any holiday stop or business stay. Whether your stay is for one night, one week or longer, we believe the excellent bed and breakfast accommodation and the many facilities we offer including:- laundry room, fax and e-mail facilities, to name but a few make Southpark an excellent value for money establishment. 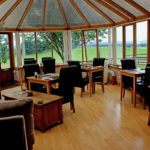 From Southpark Country House you will experience spectacular views across the five valleys. This, balanced with ample tranquility, along with our unique hospitality for which we are renowned, make this establishment the perfect location for your overnight stay, or longer. We look forward to your visit, you won't be disappointed. 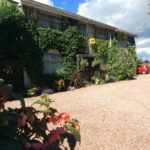 Renowned as one of the finest in Dumfries, this 4 star hospitality establishment enjoys an impressive and peaceful location on the edge of town, yet only 5 minutes drive from the bustling market town centre of Dumfries, hosting many fine restaurants, coffee and wine bars. Panoramic views over “the 3 valleys”, free transport provided into town/restaurants by us (subject to availability) for the tired and weary guests! Ample private and secure parking, (including large vans etc) separate guests kitchen, with full laundry facilities, Free WiFi internet throughout, and free usage of our Internet Station. Southpark hosts a dedicated (for guests only) spacious guest lounge with log burner for colder evenings. With easy access from all major routes, come and enjoy your stay at Southpark House, and experience our silent and often deserted country roads, offering unspoiled equanimity balanced with unequalled views and rare wildlife! Dumfries has a large swimming pool, and Ice Bowl. Whether it is business or pleasure we welcome you to Southpark House, where we have everything you have at home and more. 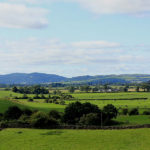 Contact us now to book your luxury B&B Guest House stay in Dumfries & Galloway. 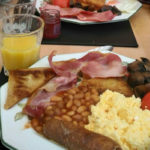 Excellent location, breakfast’s awesome, hospitality the best we have experienced, and really inexpensive compared to other guest houses & hotels of similar standards. A smashing find, on our honeymoon travels, a haven allowing us complete privacy, as owners accommodation is in a separate wing of this elegant and spacious property with views you never imagined. We will definitely return on our next trip to Scotland and try to book this place again. Superb hospitality, and much much better accommodation and facilities than any Travel Lodge or Premier Inn. A place by which all others should be judged.